Niemen Fellowship at Harvard University 2017-18 is for Journalists who have 5 years of full-time media working experience. The applicants of Niemen Fellowship 2017-18 are not bound by any restriction of age or minimum education qualification. The candidates selected for the fellowship will have the freedom to select their course of study at Harvard. Some applicants prefer to spend their year exploring the fields of their interest while others seek to broaden their knowledge in several areas or prepare for a new assignment. The Course Fee of Harvard along with stipend of $65,000 (Approx. INR 43,00,000) is provided to Niemen Fellows. Niemen Fellowship 2017-18 offer total 24 scholarships, 12 of them are for international applicants. The applications for Niemen Fellowship 2017-18 are to be made online and the application process should be complete before December 01, 2016. Nationality: The fellowship is open for citizens of all nationalities. Age & Academic Qualification: There is no restriction on the minimum criteria related to age and minimum academic qualification. Experience: The candidate should have 5 years offull time media working experience including freelancers. Journalism related work done as a University student will not be considered. 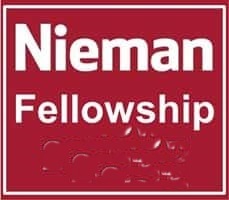 Number of Fellowships: Under Niemen Fellowship total 24 fellowships are offered. The fellowships are divided equally among U.S. and International Journalists. Stipend: The selected candidates will get stipend of $65,000 (Approx. INR 43,00,000) over a period of 9 months to cover the cost of living and other expenses. Course Fee: Niemen Fellowship covers the cost of attending Harvard classes for the selected fellows and their affiliates/ family members. Other benefits: The selected fellows receive modest housing, childcare and health insurance allowances, depending on the size of their families. Application Form: The candidates need to fill online application form in order to apply for Niemen Fellowship 2017-18. >>Click here to apply for the Fellowship. One of them should be Personal Statement with 1000 words and should give details of journalistic experience, career plans and goals. Second one should be Proposal for study at Harvard, within 500 words applicant should describe how they plan to spend a year at Harvard? Professional Profile: Description of Applicant’s profile within 100 words giving details of professional career, achievements and organisations where applicant has worked. Study Plan: Short summary of Study plan within 25-50 words. Work Samples: 2 work samples can be uploaded online or sent to Niemen Foundation. In case the work is not in English, summary of the same in English should be provided. Two individuals familiar with your work who can comment on your journalistic abilities and potential for growth and leadership. Your immediate supervisor with an appraisal of your qualifications. Your organization’s publisher, editor, manager or director supporting your application.